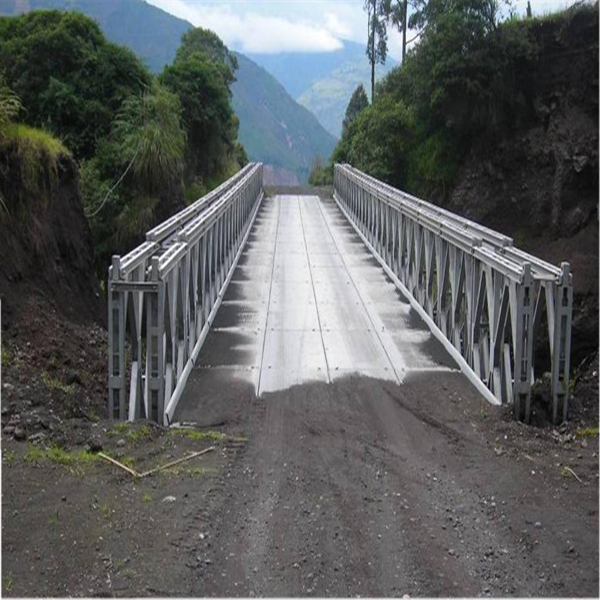 For the erection of these bridges STC & IBSF worked in partnership with Chuan EU manufacturing and installing these bridges. 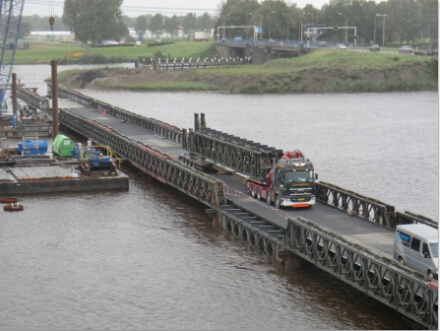 Bailey Bridge (Panel Bridge) is a standard bridge equipment, adopted extensively and the most popular in the world, possessing the features of simple structure, convenient transport, speedy erection and easy disassembling, while having the advantage of heavy loading capacity, great stability and long fatigue life being capable of an alternative span, loading capacity and mixture form to erect all kinds of Temporary Bridges, Emergency Bridges and Fixed Bridges. 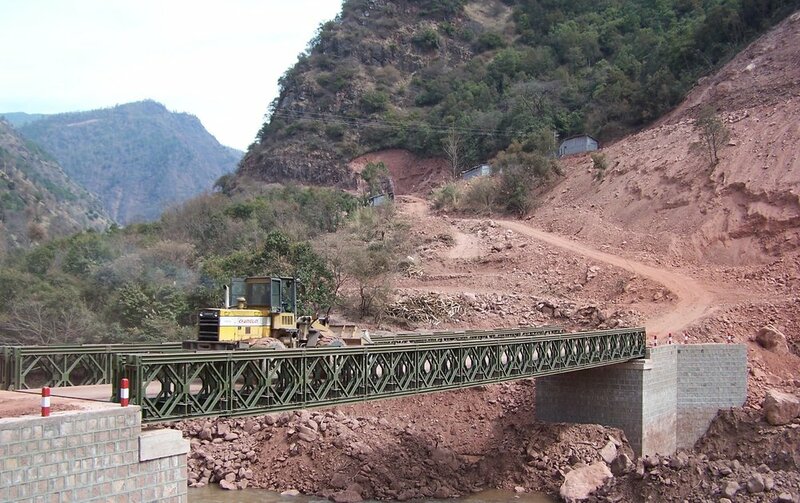 Using the bridge equipment, the suspension bridges of varied span can be erected. 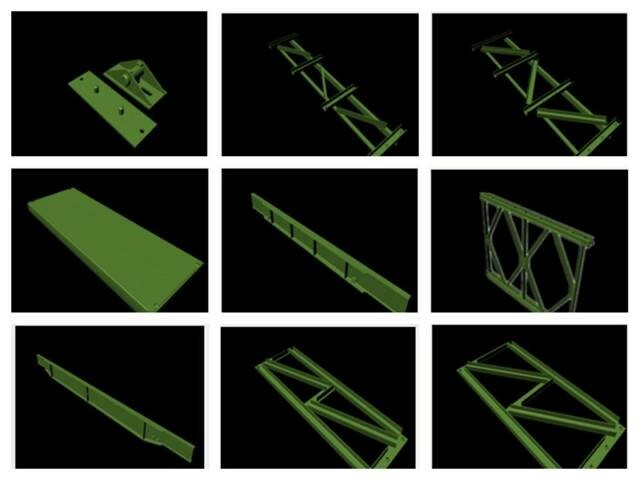 The bridge has the advantages of few components, light weight and low cost. 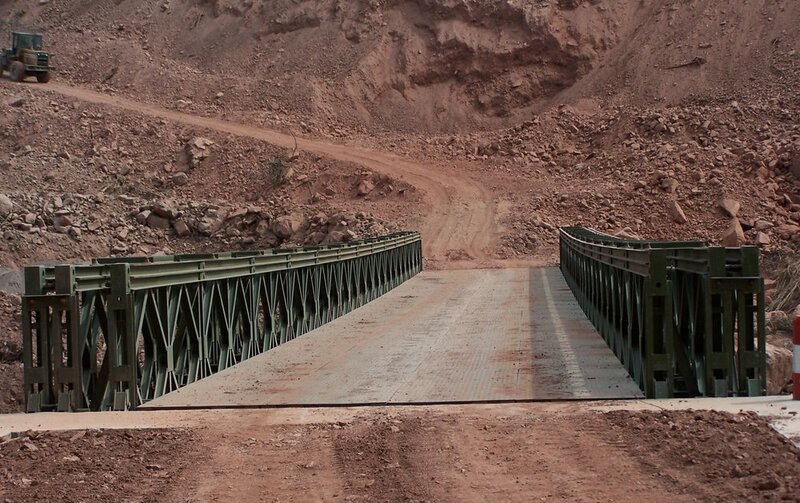 Bailey bridge is similarly like compact 100,compact 200 International bridge. it is assembled by each 3m panel, and invented by Donald Bailey. Its suitable load design is such like HS-15, HS-20, HS-25 and pedrail-50 etc.